With a silent sweep motor and slim black hands, this functional decor is just as much fine art as it is a mantel clock. 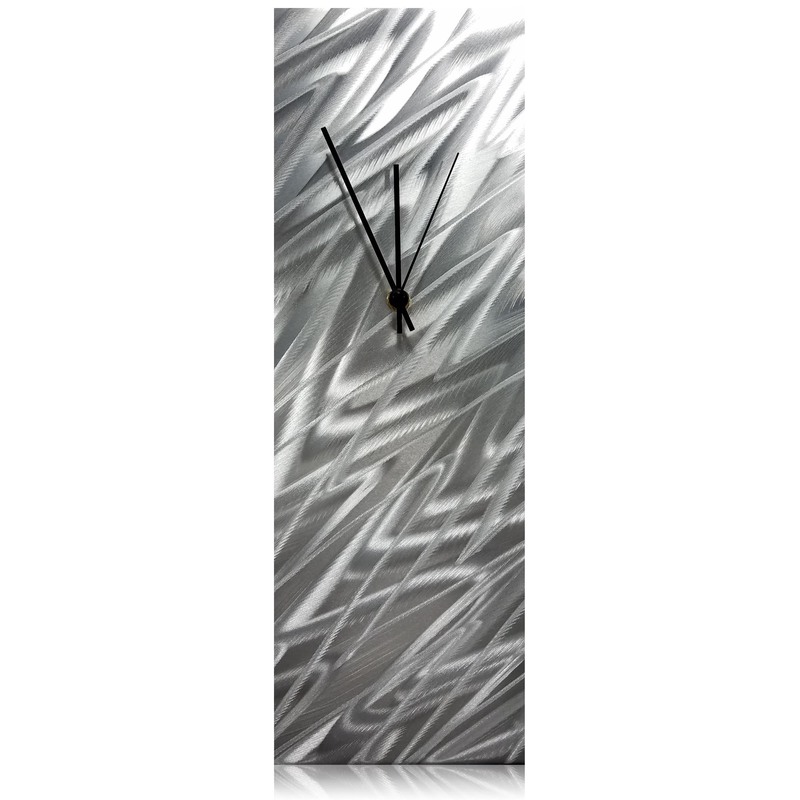 The Silver Zig Zag Desk Clock is handcrafted in Cincinnati by metal artist Helena Martin. 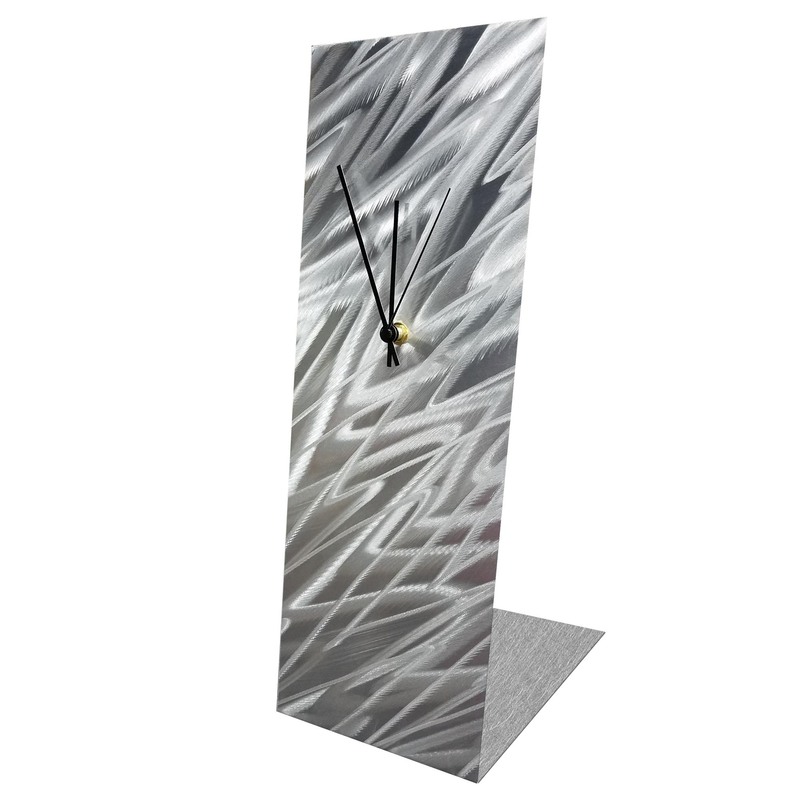 This modern table clock features a tall silver face with layers of directional grind patterns meticulously scratched into the surface with a handheld grinder. 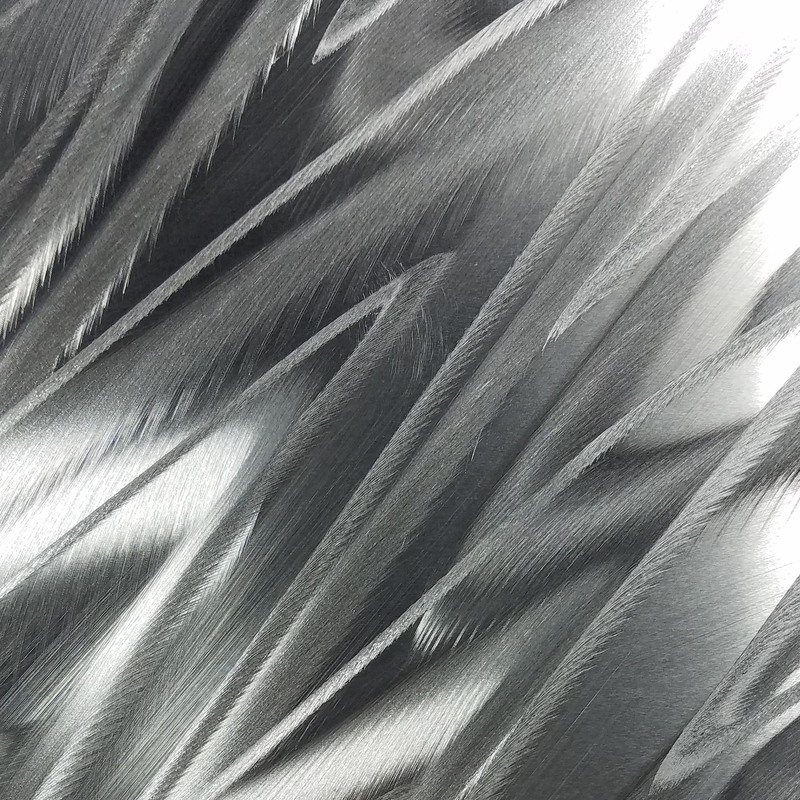 The multi-directional grind patterns are extremely light-reflective on the metallic silver surface, giving this clock an attractive sparkle, unique depth, and holographic movement from every angle. Crafted from natural aluminum, this contemporary clock is more than just a time piece; it is a striking addition to an executive desk, an artistic statement on a contemporary end table or shelf, a glistening accent in a modern space, or a perfect corporate gift for a boss or partner who already has everything and is hard to shop for. Placement: No assembly required; clock stands upright and arrives ready to place on your mantel, shelf, desk or table.